MMmmmmmm, Broken Spanish. 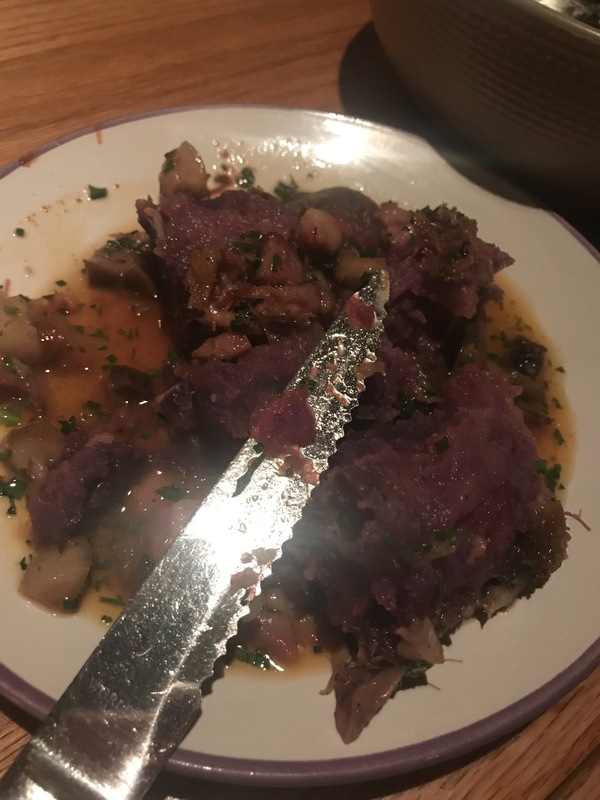 When you look at their website they say ‘an experience that is unique, characteristic, and beautiful in the heart of Downtown Los Angeles’: let me tell you, this is true! They will not disappoint you. We had the restaurant recommended by @zendonesian of EP & LP and am so glad! Aside from the food, which I will go through in a mo, I loved our waiter here! 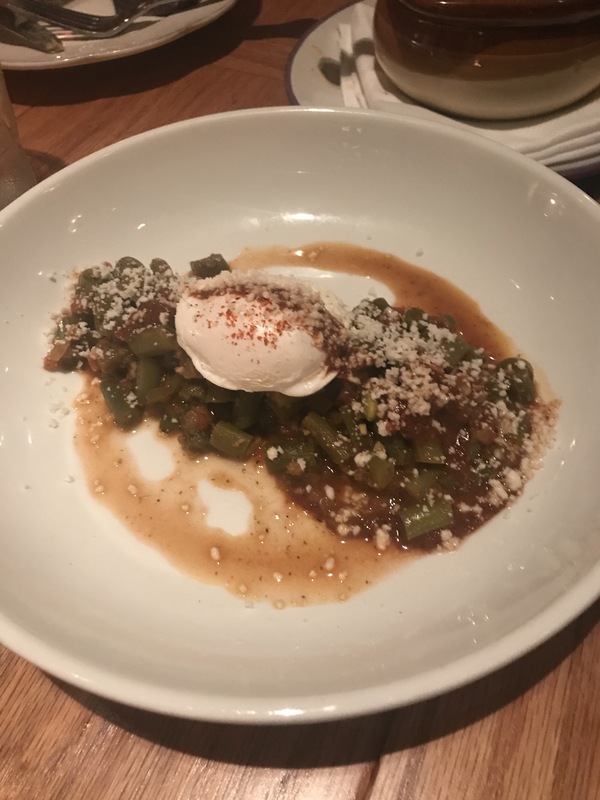 He talked through how the menu is designed (no surprise, it was a sharing menu; very LA), and then told us the way to enjoy the menu was to pick a few dishes, let them come and then pick some more and so and so on. There was no pressure, no judgement for wanting to eat lots (which we did) and he gave recommendations on favourites. Even at one point, I’m pretty sure, we went to hand back the menu and he said no: We weren’t ready to decide this. 🙂 If I wasn’t married, he’d be the man for me. 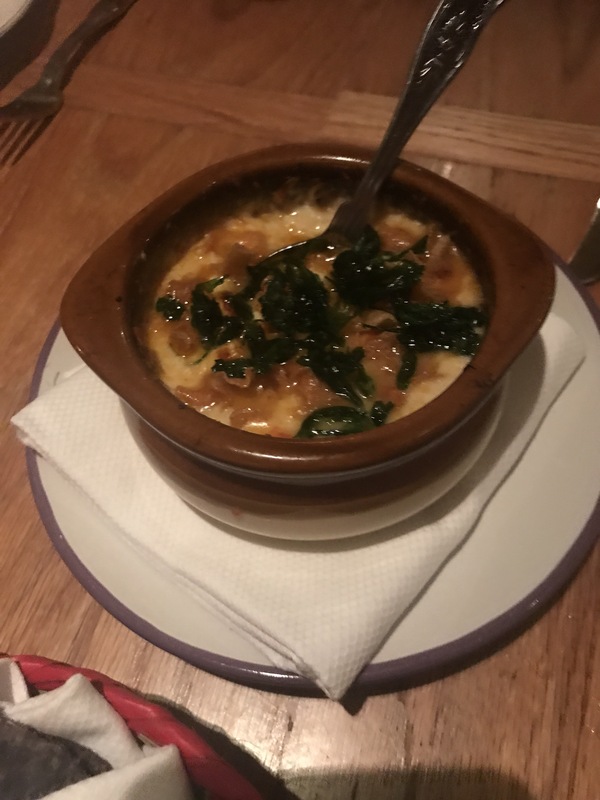 Queso Fundido: Oh my god!!! what is this? 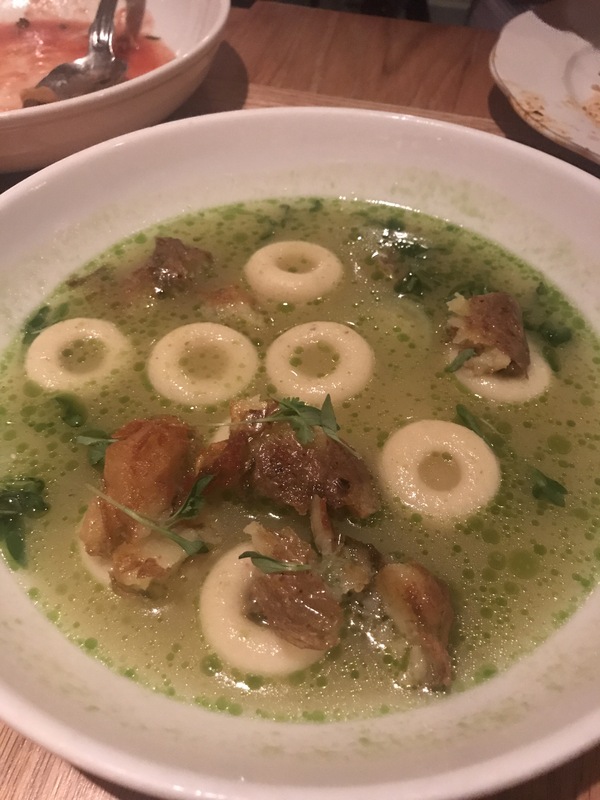 A mexican fondu? This is AMAZING!!!! Martin, Jax & I are the biggest fans! Cheesy, cheesy goodness that you put on great tortillas. So good. 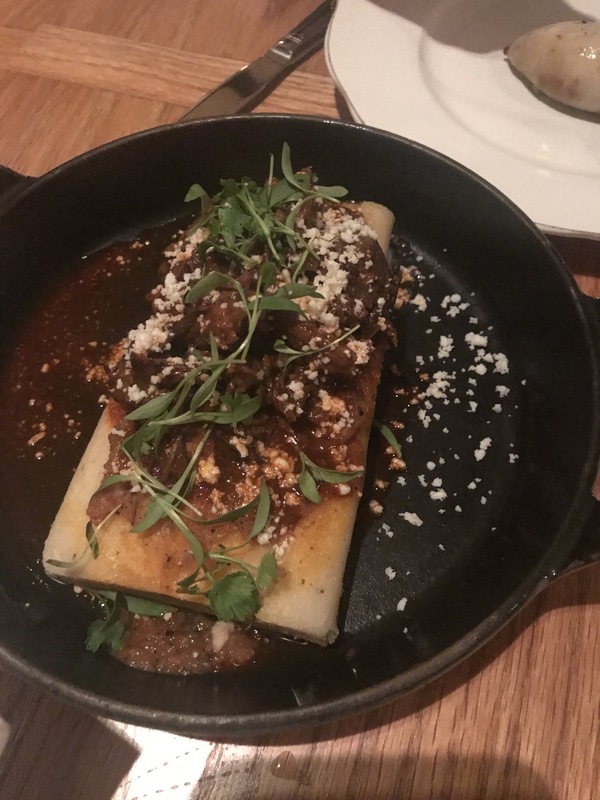 Lamb Neck Tamales: I’ve hd tamales before, but never like this. So meaty! This was a winner for Al & Martin for sure. 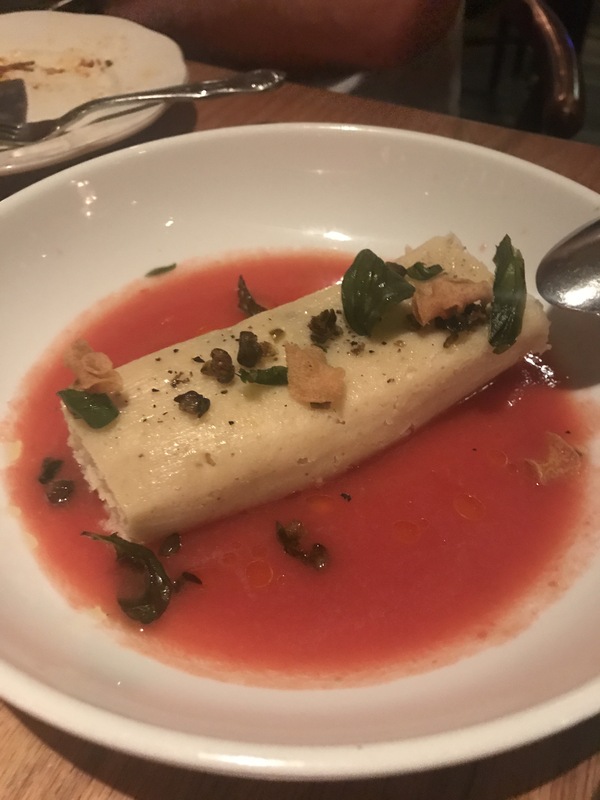 Vego Tamale: This was my preference over the lamb one, and the lamb one was good. 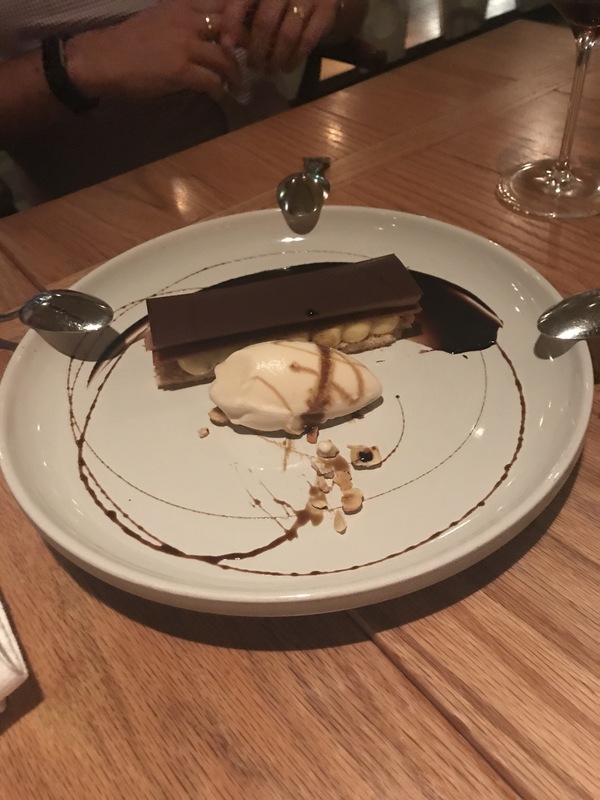 I felt like even the pastry was different here. But the goats cheese and corn and salsa water just worked together beautifully. I think I loved the lightness. You need to be careful not to order too many heavy dishes at once. Stuffed squid: WINNER!!! Ok, I’m not sure if it was these cheese or this that was the winner, but I really like this. 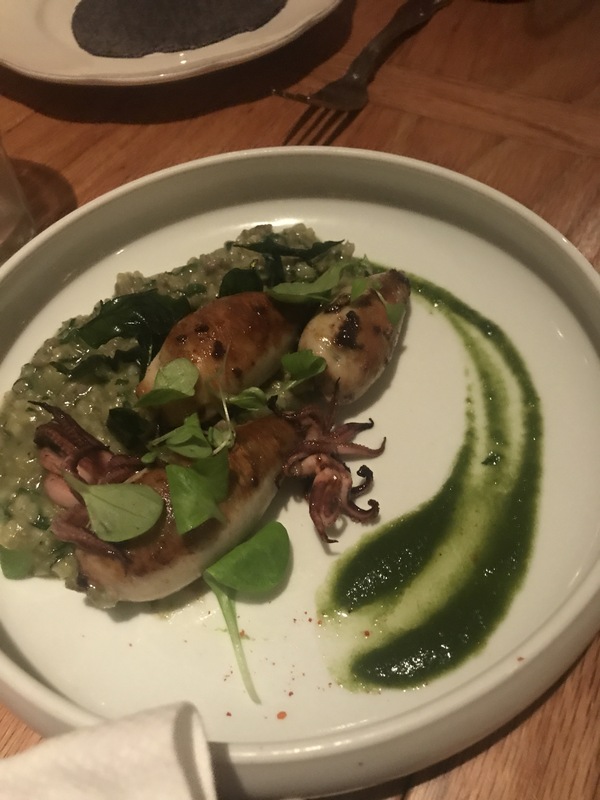 Squid that looked like squid, stuffed with green chorizo (never heard of green chorizo before today), rice, fava leaves ad ravigote. The flavour was amazing! Chochoyotes: this was probably my least favourite but it was still good. 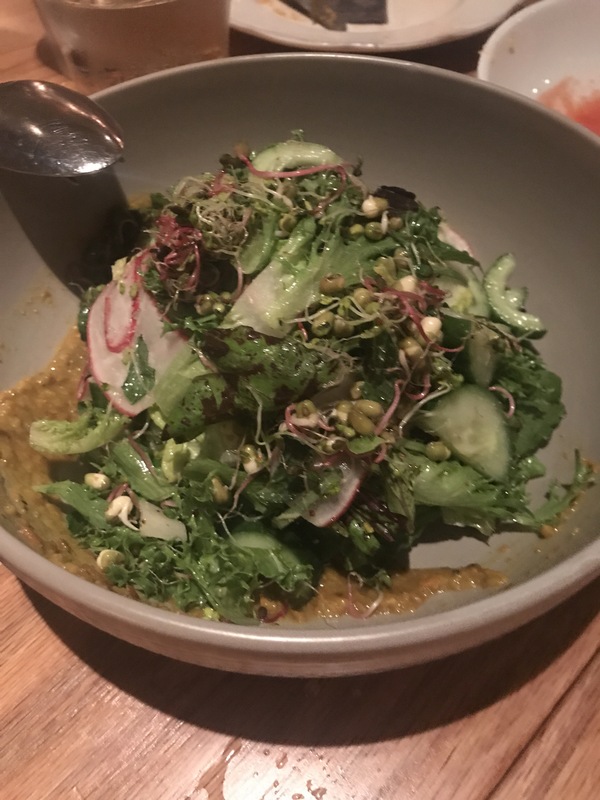 I liked it for a fresh taste moment between some of the more richer dishes. 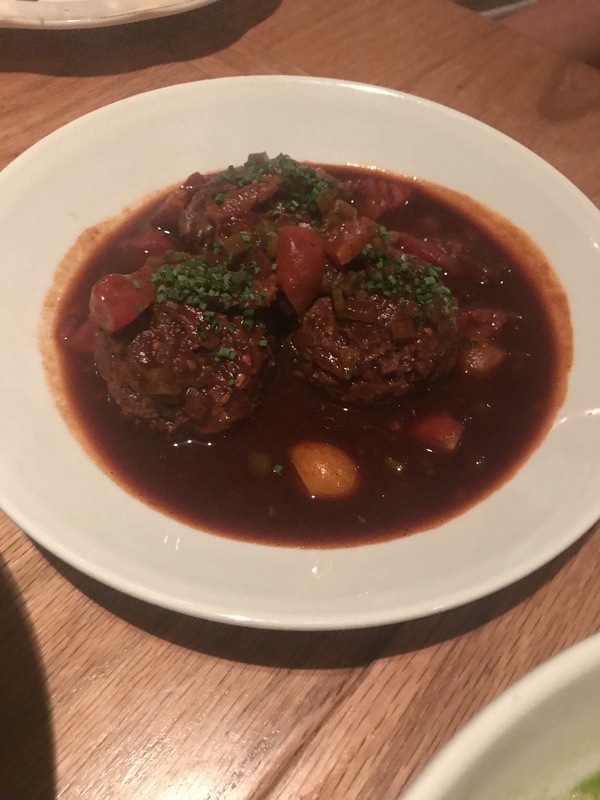 Albondigas: rabbit meatballs that are soft as heavenly pillows. So tasty, but seriously rich. Sometimes I get a little overwhelmed by chipotle smokiness but not this time. Camote: a massive, incredibly sweet potato with yummy, I guess chilli sauce. I could not get over how sweet this potato was, it was seriously like candy. Cafe De Olla: I have to be honest, I think this is what we had. I remember being so full I could only have a spoon full (remember I’m not a dessert person) and tasting the coffee. But it definitely looked beautiful. Do you know what was the disappointing thing? We had so many more dishes that we wanted to try but we got too full! 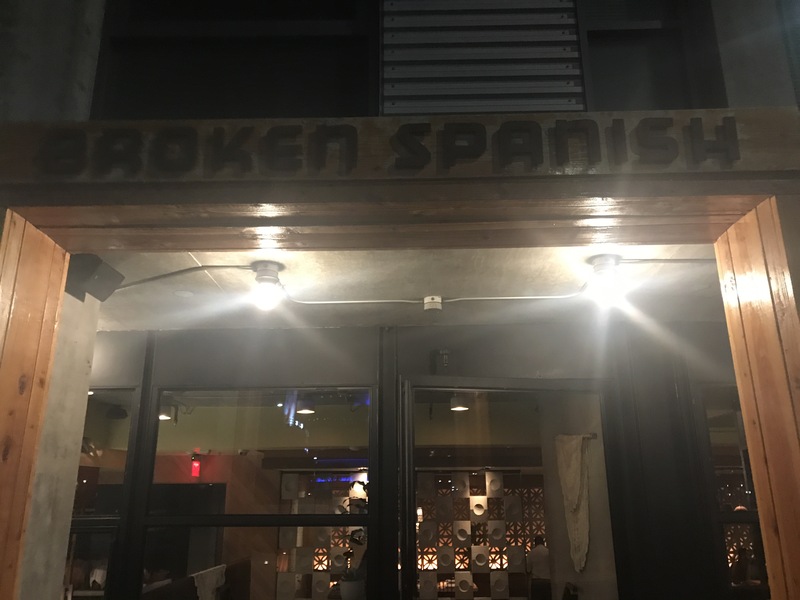 Broken Spanish is a great DTLA restaurant near the Staple Centre- a perfect pre or post meal for an event that way or just to travel down for. At the end of the day, the food is beautiful and the service is lovely. You can’t ask for much more. Oh my God I want it all. Those lamb tamales look INSANE. It was amazing, and presented so beautifully!